After an unplanned blogging break, I'm back with a series of posts of my go to pieces this season. 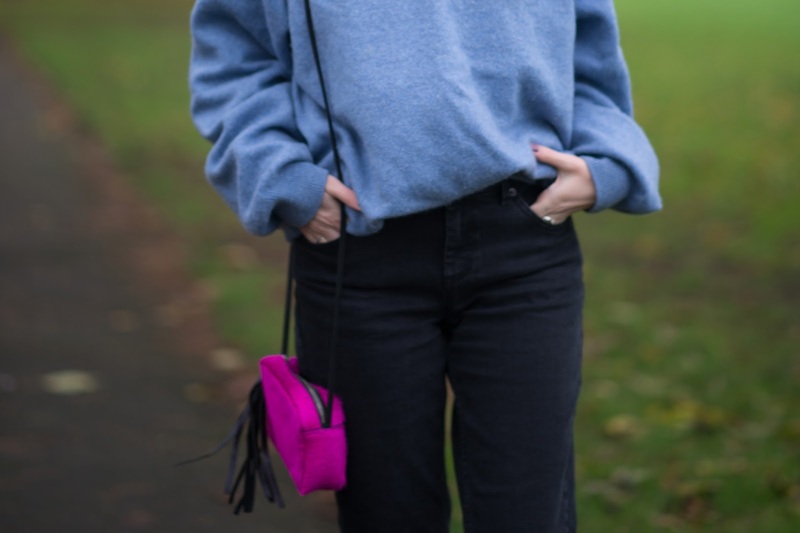 Cosying up in my Grandad's favourite jumper (and now mine), teamed with some ripped girlfriend jeans is a regular occurrence in my uni wardrobe. The shoes are unfortunately not so regular and are going to take a lot of wearing in to become comfortable. However, I loved the proportions of the baggy jeans and heeled shoes, paired with a slouchy jumper and simple coat. You can't go wrong with this selection!